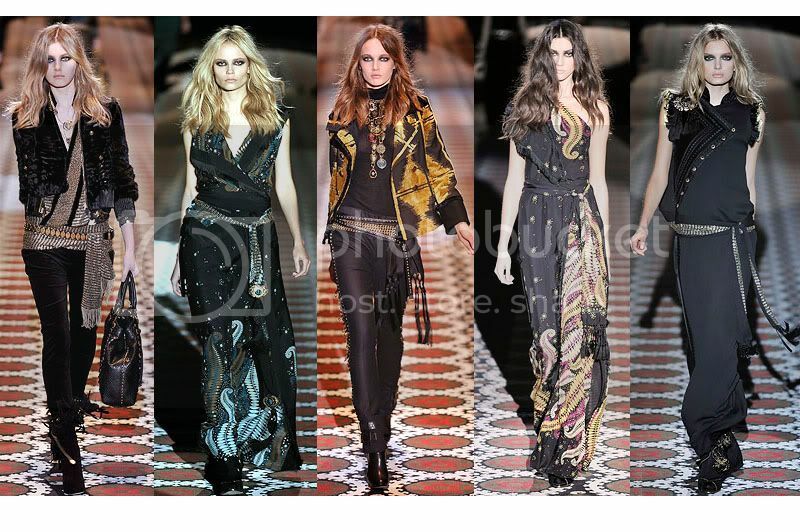 ..with the Gucci fall 08 collection. I just adore the whole feel of it. The exact minute the air is getting colder and you can feel that fall is one it's way, I always start to long for stuff like this. 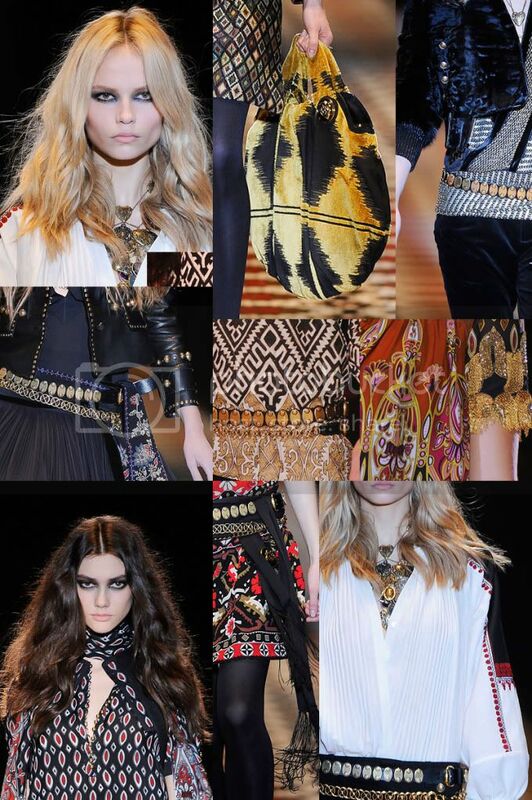 Velvet, folkore, layers, fringes, pattern mixing, rich colours and heavy details. wish i could rewind back to fall '08.